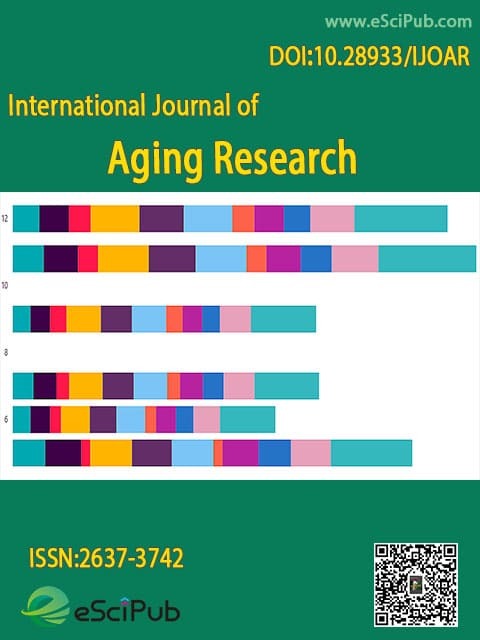 International Journal of Aging Research (ISSN:2637-3742, DOI:10.28933/IJOAR) is a peer reviewed open access journal publishing research articles, review articles, editorials in aging research. Are self-consciousness and mindfulness altered by aging? Is Propanediol a safer molecule than some other glycols in personal care and anti-aging biocosmeceutical products? International Journal of Aging Research is a peer reviewed open access journal publishing research manuscripts, review articles, editorials, letters to the editor in Aging Research (Indexing details). Please submit your manuscript by the form below or send it to submit_manuscript@escipub.com (use "International Journal of Aging Research" as the email subject line).